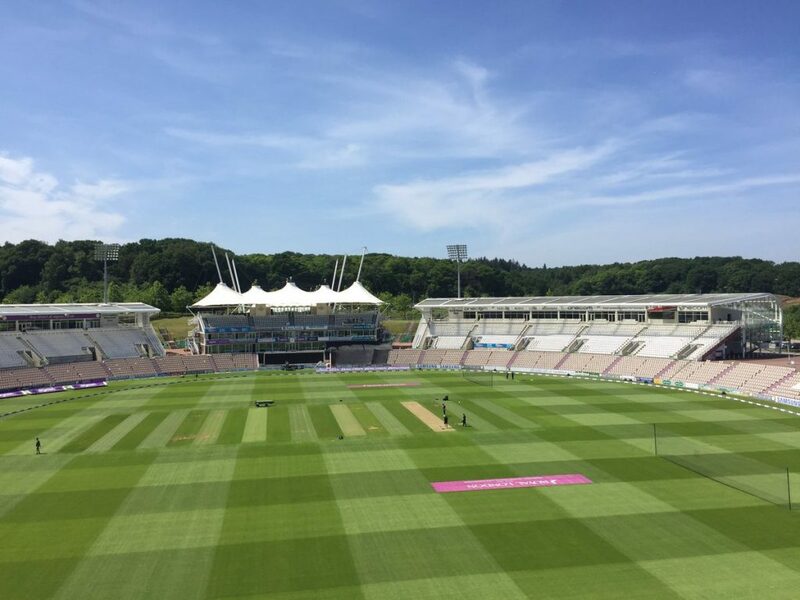 19 wickets fell on day one of this Specsavers County Championship First Division match between Hampshire and Somerset at the Ageas Bowl. Somerset won the toss and elected to bat but Kyle Abbott claimed his third five-wicket haul in as many games before Sam Northeast’s half century edged Hampshire into a slender first-innings lead on a wicket-heavy first day. Abbott’s figures of five-for 31 helped his side bowl Somerset out for 106. 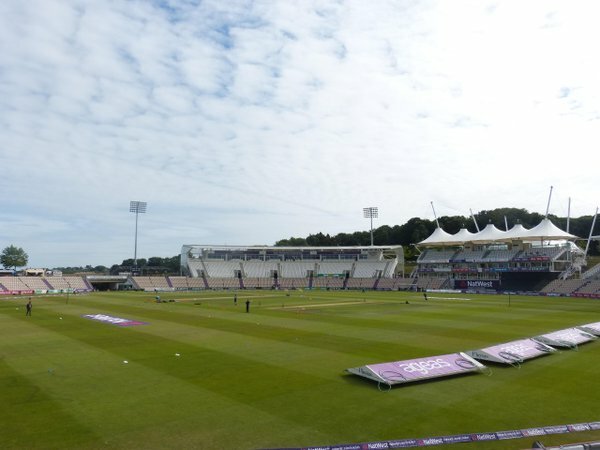 Hampshire then lost nine wickets of their own, taking the day one wicket tally to 19, but Northeast handed his side a 36-run lead with a patient 53, with Hampshire ending on 142. When Tom Abell won the toss, batting first appeared a sensible move with blue skies and a dark coloured pitch, albeit covered by a short layer of grass. 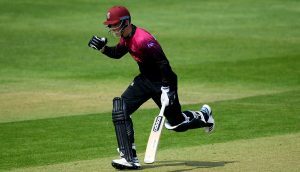 Marcus Trescothick seemed to back the decision as he threaded three eye-catching drives through cover and mid-off in Abbott’s first over. However, Abbott got his revenge in his following over as he found the outside edge of Trescothick’s bat, with wicketkeeper Tom Alsop completing a smart catch. Azhar Ali and Ben Green provided a short 28-run stand for the second wicket before Ian Holland’s miserly bowling dismissed the pair. Holland’s eight overs of medium pace boasted figures of two-for five, with Ali leg before to a fullish delivery which swung in gently, before Green was bowled attempting a straight drive. James Hildreth and Abell both departed with the score on 71 and after lunch Abbott accounted for Lewis Gregory, Steven Davies and Jamie Overton. 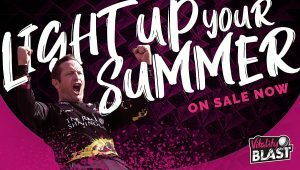 Dale Steyn quickly wrapped up the tail as both Craig Overton and Jack Leach edged behind as Somerset were bowled out in 37 overs. Adams provided some resistance, during a 47-run stand with Northeast, with 31 from 75 balls but lost his concentration in the last over before tea to gently dangle at Davey, to edge behind. 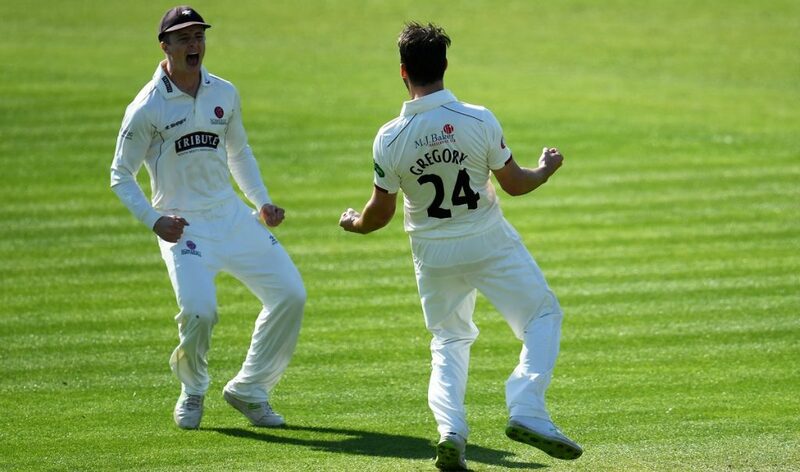 Then Alsop was lbw and Holland was bowled – both by Jamie Overton – to leave Hampshire 68 for six. Northeast refused to take risks and his half century arrived in 90 balls. The former Kent batsman, with Liam Dawson, accumulated 56 between them for the seventh wicket before the latter was caught and bowled by Green for a hard-working 31. 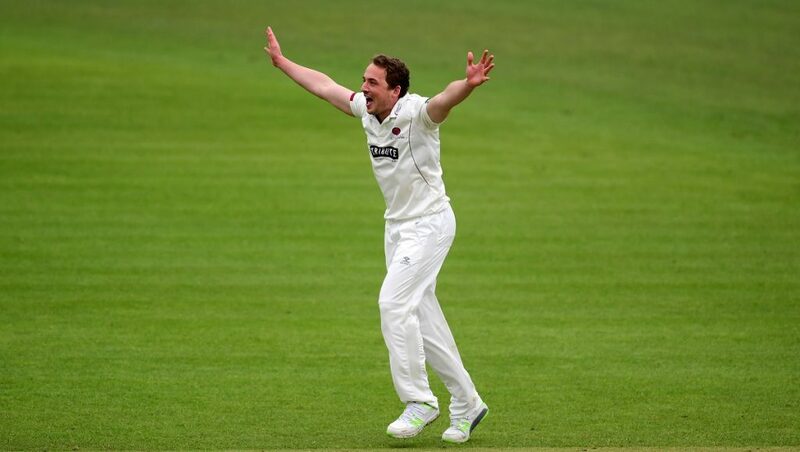 At the close of play Josh Davey said: “The wicket had a lot in it for the seamers and there was a lot of movement. They have an attack full of international quality on show who made it difficult for us. “They haven’t got a big lead at the moment, so we need come back in the morning and take that last wicket very quickly. “I tried to keep it simple with the new ball and try and get it to move around off the wicket. I just want to make the batsman play it.